Show dates will vary throughout the summer. Performances are planned for Pontiac Tour groups, but most will also be open to the public. The show is a musical revue featuring rock 'n' roll songs of the '50's and '60's. 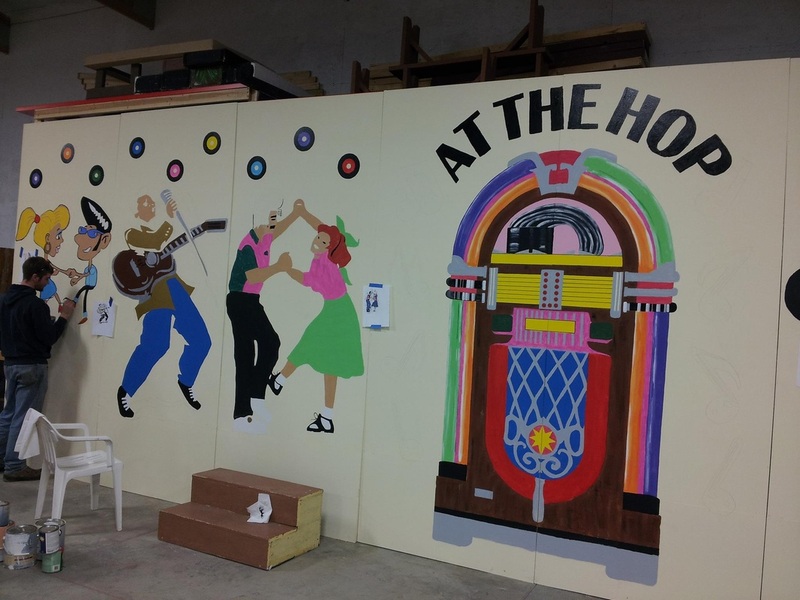 We're busy working on the backdrop for this musical revue!